After so much tragic news in the press, I am on a mission to take a moment to acknowledge what makes me happy today. 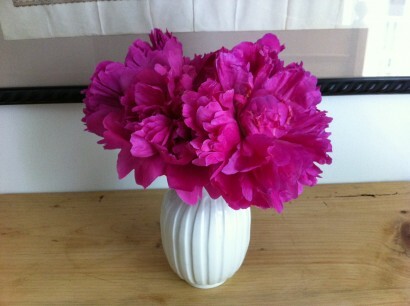 Love these peonies. Love this vase. Love that I can appreciate both and have a roof over my head. Safe from harm. Loved.